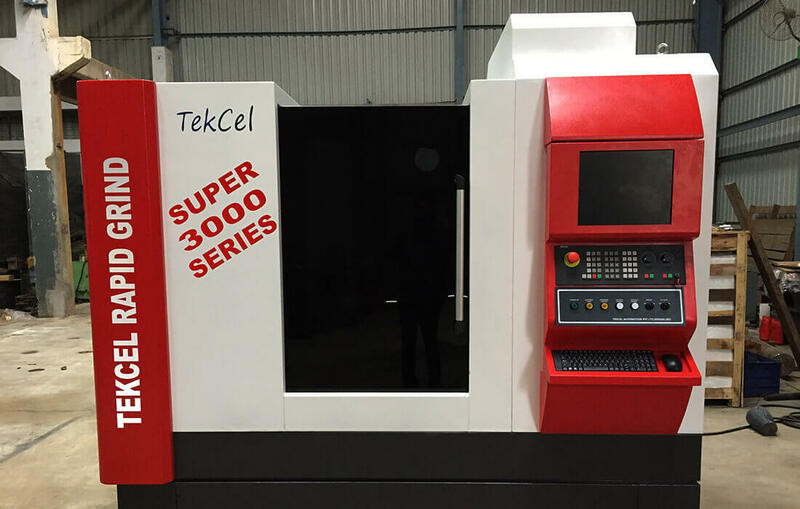 Five axis CNC Tool & Cutter Grinding machine combines high capacity grinding with high level of accuracy. Generally conceived & executed to match any imported machine. Suitable for manufacturing of standard & complex tools such as EndMill, Drills & Special Form Cutters. User friendly menu driven software moudles for easy programming. Direct driven Grinding Spindle with variable speed & continuous power of 19kw. High Precision ballscrews from Tsubaki, Japan for 'X' , 'Y' and 'Z' axis . Rotary Axis with precision wheel & worm from OTT Germany. Axes movements by High Performance Siemens servo motors.